This aged moxa is primed with healing power. Its added age means it will burn at a slightly lower temperature whilst its therapeutic heating benefits penetrate even deeper than moxa aged 3 years. Suitable for general and targeted indications requiring moxa treatment, it burns slower, lasts longer and penetrates heat deeper. 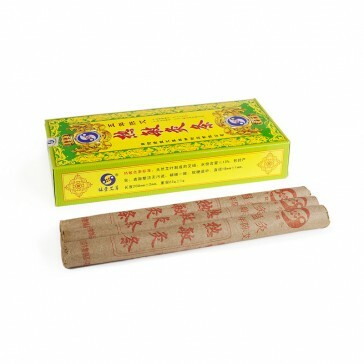 A blend of Ai Ye, Dang Shen and Dong Quai form the base of this moxa stick.